Many would think that these principles are only suitable for Apple because they design and produce physical products, but users’ interactions with software products are much more frequent. If you give users an instruction, they will follow it. Users do what you prompt them to do. Both hardware and software products are essentially tools, so principles for tool design are applicable. The reason why I highlighted these principles is because I believe that many products in the industry do not emphasize product design, or rather that product design is not their objective – design is just used to pad out a feature or squeeze profits from users. I noticed that in various industries, when a product manager graduates and starts working, the company will misguide them. Because the company’s objective is to increase traffic and make money, hence everyone’s KPI is also to increase traffic and make money. This means the product manager’s work objective is not to create the best product, but to use whatever means necessary to obtain traffic. Just like WeChat version 7.0, we spent a very long time on it; I kept switching my own WeChat back and forth between the old and new versions. After a while, I wasn’t willing to switch back to the old version. Maybe users can’t accept the new version right away, but I believe that after they become familiar with it, they will accept it. The important thing is that we make sure our products adapt to the era we are in, rather than failing to adapt it out of fear that users will complain. Many people have probably heard this story before, but back then, I wrote an email to Pony [Ma Huateng] about creating WeChat. This is a true story, though there are also some made-up stories out there, like that we went to some temple… Anyway, thinking back to that email, from time to time I experienced a kind of post-event fear – if I didn’t send that email that night, and I went to shoot some pool instead, then there probably would be no WeChat, or another team in the company might have made a different WeChat. I find that many ideas come suddenly, as if God has programmed a code and puts it in your mind at the right time. When Kik came out, I realized there was an opportunity – this opportunity did not necessarily just stem from Kik as a product, but it came from me starting to use a smartphone, and from the lack of good communication tools in many PC products and messaging software. My thought was very simple at that time – I wanted to make a communication tool for myself and others to use. Coincidentally we had a team developing a mobile version of QQMail, so we assembled a team of ten to start work on WeChat. Including back-end developers, three mobile front-end developers, UI, myself, and a recent graduate on my team, ten people in total. In two months, we had created the first version. I remember when WeChat version 2.0 was introduced, we saw user growth, not very rapid growth, but it was increasing naturally. At that moment, we knew we could start marketing it. We were grateful we had made a couple of good decisions. First, we didn’t import users and automatically add them as friends within WeChat, instead letting users choose who to invite or send a friend request to one-by-one. Second, when the product wasn’t yet widely recognized, we let it grow naturally rather than market it. These two things were the right way to do it. Although it took more time, it meant that the product was healthy when it really started to grow. Many people think that it is normal, for example, opening their apps and seeing ads, or receiving system push notifications with marketing messages, being lured into clicking on links – this is all normal now. There’s many examples like this. If we go back to the SMS era, everyone’s spam messages exceeded their actual messages. What’s scary is not this huge amount of spam messages, what’s scary is users thinking this is normal. Whether or not it’s keeping up with the times depends on the user, not us. WeChat is a tool, and thus needs to earn the recognition of our users. “Why is it “a” lifestyle and not “a kind of” lifestyle?” At that time when my colleague asked me, I couldn’t explain it clearly. But I know if it is “a kind of” lifestyle, it is just a typical motto, not suitable to be used as a slogan, and people won’t remember it. It must be a lifestyle that belongs to WeChat only, a unique statement. At that time, WeChat didn’t cover so many aspects of life; WeChat Pay didn’t even exist. But in hindsight, it really represented a lifestyle. This is a lifestyle. Actually, I have a nagging thought, WeChat will penetrate every person’s daily life. It should change as trends change, or even lead those trends. However, I’m not sure how WeChat will penetrate users’ daily lives. Which aspect of life? If we don’t set it as a lifestyle, and we label it as a communication tool, it will be too superficial and will limit our potential. Thinking about it now, suggesting at that time to call it a “lifestyle” was very bold. We released Official Accounts in a very early version of WeChat. This was an innovation by WeChat. 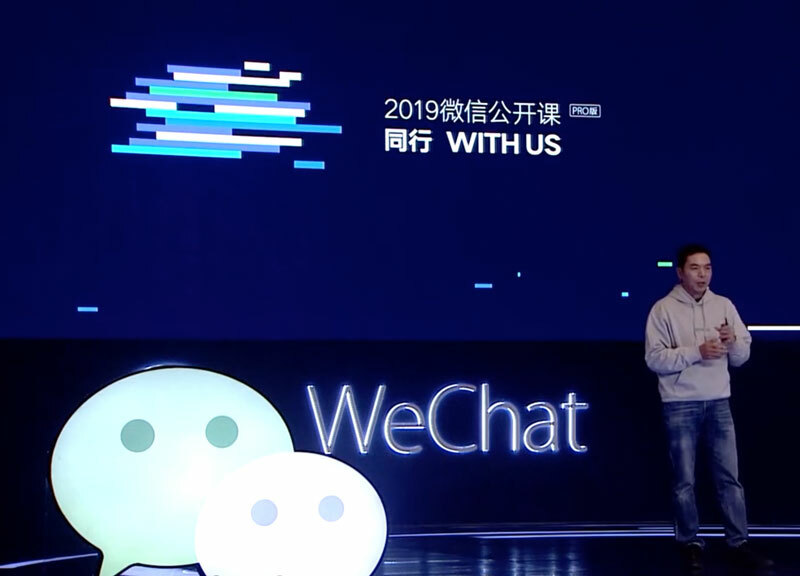 At that time our thought was, “If WeChat replaces SMS, then what are the market’s needs in the SMS era?” Many services had to use SMS to communicate to their users. Since we replaced SMS, we needed to provide something of similar capabilities to serve the market’s needs. But I know that since SMS and email can be sent en-mass to many users with no way to control it, this produced some well-known negative side effects. So, we thought, if WeChat chooses to provide a subscriptions model, it’d help protect users from being harassed or cheated. It also would allow services to control who to target with what message. This would help bridge the gap between customers and businesses. I still remember at that time we were so excited when we came up with the idea, that we messaged Pony saying this mechanism will be immensely powerful. Pony asked, “What about the spam messages?” And I said that by nature there would be no spam because users are the ones subscribing to the services they want to receive messages from. When a platform only focuses on pursuing its own benefits, I believe it’s short sighted, it won’t last. When a platform can benefit the people, then it’ll take on a life of its own. When we were creating Official Accounts, we would think: “What problems do we want to help people solve?” Of course, it was the problem and disadvantages of information asymmetry. Let’s use an example: traditional business all depends on renting a store location in an area with high foot traffic; but with the internet, location is no longer your advantage, your service is your advantage. Then, we wanted to help those people and businesses that truly offer good service to find and reach out to potential customers. This year, I actually saw a real-life example of that case study. A friend posted on his Moments that he discovered many blind massage therapists using Mini Programs to find customers. Seeing this filled me with joy. This was the exact situation that we had originally brought up as what we wanted to achieve. But I believe all predictions in business stem, most importantly, from driving forces. Or we can say, a good product has its own mission. Speaking of user visit duration, it reminds me of around year 2000, when the internet had just come around, there was a popular term called ‘attention economics’. Every websites’ goal was to grab as much attention as possible. Hence, we saw articles being divided into many pages — you read a little and clicked to next page. This let websites add an advertisement on each page and increase their page views. This still happens now. There are also sites where users must click to expand the full text. This can get more clicks in the short term, but I don’t think this is a good product. There’s another interesting example about user visit duration. From the day Moments was released until now, users’ friends have increased more and more. Logically, content on Moments continues to increase as well. However, everyone fails to realize that even as users’ friends and content increase, everyone is still spending the same amount of time on Moments, about 30 minutes. When you have fewer friends, you read slowly and with more focus. When you have more friends, you browse faster. Actually, users won’t divide their time based on the amount of content you have, but I believe this is reasonable. If we insist on extending their visit duration, we have many ways to do it. However, this would only frustrate users, because their social interaction efficiency would decrease. If we insist on increasing the 30 minutes to an hour, it will only mean that efficiency will go down. So, using visit duration to evaluate an app strays away from my aspirations and understanding of the internet. Everyone only has 24 hours in a day. The mission of developers shouldn’t be to make users spend all their time on their phones aside from when they eat and sleep. A few years ago, we had a version of WeChat with a statement encouraging users to put down their phones and meet their friends more in-person. This view has never changed. 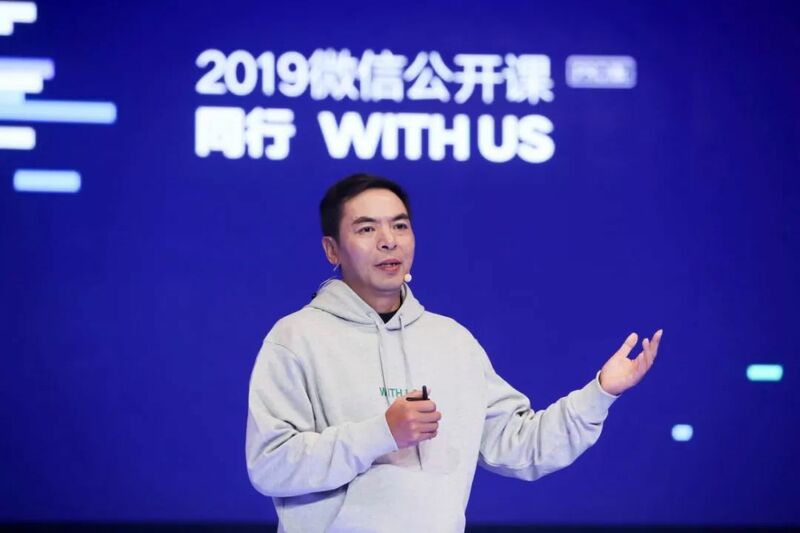 WeChat will never make user in-app time our objective. Instead, we are more concerned with when our users communicate, post a picture, read an article, make a payment, or find a Mini Program, that they can do it as quickly and efficiently as possible – this is what makes the best tool. We are willing to brainstorm thousands of ideas to increase this kind of efficiency. For example, I want to send a message to a specific person, but I can’t remember their name. If we have a more intelligent solution to this, like an associative capability that helps you remember that specific person through people associated with them. That is, when your brain goes blank, we can help you find the information you want. This is something very important that we must work on. Things that benefit oneself but not others do not last. Mini Programs’ mission is to allow creators to cultivate value and also benefit from it. Just because we have a lot of user traffic doesn’t mean we should occupy it ourselves… If we didn’t decentralize it, Tencent could monopolize the platform with its own Mini Programs, but there would be no external developers. Sure, Tencent would benefit in the short term, but the platform ecosystem would not. There are many companies making Mini Programs now. I think this is a good thing. Some of their APIs are like ours, but I’m not worried this will pose a threat to us. We may be doing the same thing, but besides our platform and team being different, the most important difference is: what is your driving force? Even the companies that Tencent invests in should follow the platform rules like everyone else, otherwise it wouldn’t be fair. I know everyone thinks that WeChat has been biased towards these companies. I have to say, maybe we haven’t done it well enough, but I believe from now on our team will dedicate more resources and manpower to ensure that we treat all companies equally. The reason why we announced it before it was made is because we wanted to give everyone pressure such that we had no choice but to do it, and absolutely had to complete it. Maybe in prehistoric times, socialization was born when humans started forming groups. The most important need for a person in a group is to not be excluded, hence people must talk with one another. What do they talk about? Really they just boast about themselves to demonstrate their value to the group. This is my imagination about prehistoric interaction, everyone does not have to take it too seriously. I later thought of an answer myself, but it’s by no means the correct, standard answer. It is “communication is the process of inculcating one’s self-image into another person’s mind.” What does this mean? Everyone has an image of themselves they want people to accept. Every sentence we say, intentional or not, is said with the hope that others will accept this image of ourselves. On the surface, we may be discussing something, but in actuality we want others to perceive and accept the image we try to portray ourselves as. Of course, this is just a convenient way for me to understand why we socialize, it’s not a scientific explanation. So Moments is a place to portray your image. Actually, I want to say a bit more about Moments. Many people say they want to escape Moments or say they don’t really use Moments anymore. But in fact this is an illusion that everyone in the internet world sees. Everyone often takes the situation of people around them and makes it the situation of people all over the world. But it’s not like that. Because Moments is socialization, how can one escape from socialization? Even if you post less, you will still check it, like posts, and comment. It’s an act of socialization. I feel that Moments is the backbone of online socialization for Chinese people. It’s possible that it is China’s most effective social tool. It currently has so many users and visits every day. It feels like checking Moments is a routine task to complete one’s daily requirement for socialization. Maybe a user didn’t leave their house all day, but this didn’t prevent them from socializing. Even if you don’t post on Moments, you’ll still check it; you are socializing by liking and commenting. All the product managers here, let’s analyze: Why does Moments have so many users? Even though these users have grown up and maybe their environments have changed, they still use Moments. Many users’ methods of social interaction haven’t changed for many years. Just like my idea about prehistoric people, socialization hasn’t changed, or we should say that the need for socialization hasn’t changed. Online socialization is just a reflection of offline socialization. Within half an hour, you’ve seen many friends, seen many topics they are discussing, and joined them in some discussions. You’ve already completed your online socialization need for the day. Such an efficient socialization tool like this, of course you’d find it hard to leave it. However, Moments has a weakness. It’s caused users to want to leave Moments. Because it is like a town square, when you like or comment on something it’s akin to shouting in the town square. Everyone can hear you. This creates more stress for users. Moreover, as your friend list increases, the stress becomes greater. But here is a dilemma. If we want users to communicate freely at the lowest stress level possible, the only situation is talking to oneself. But when you talk to yourself there are no responses from your friends, meaning there is no social benefit. The more people the user talks to, the greater the social benefit, but the stress is also greater. That’s why many people set their Moments posts to only be visible to friends for 3 days, so that they feel less stress. So we encourage users to set their Moments visibility to three days. Hopefully this will alleviate some stress and allow them to bravely post on Moments. Users don’t have to worry about friends digging into their history later. The number of users is always limited, service is unlimited. Previously, an ‘era’ was basically ten years long, but since the coming of the internet era and mobile internet era, I feel that an era is now only three to five years. This means that the change of eras is happening faster than ever, new demands are coming faster. In times like this, innovation is the only solution for the future. Everyone in our team has developed a habit of ensuring every feature and every service has a meaning or a dream behind it. If a feature is made for just gaining traffic, and it doesn’t provide value to users, then it’ll have problems, it won’t last. We think about the meaning behind every detail of everything we do. This is a reason we’ve been able to make it to this day, and its helped us make many right decisions. 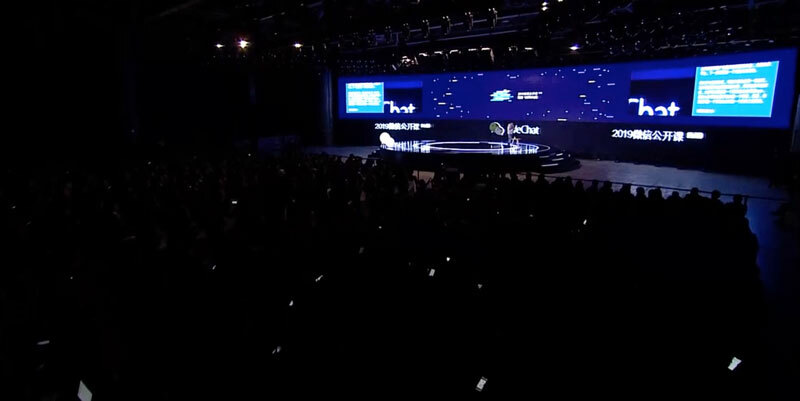 What is WeChat’s dream? I said it before. From a user standpoint, it’s to become the best tool for users. From a platform standpoint, it’s to create a marketplace that allows value creators to produce value for other users. Between a high, solid wall and an egg that breaks against it, it seems like we always stand by the egg. If you make something so big that you interfere with users and provide no value, WeChat will limit you; if you’ve just started and aspire to provide value to users, WeChat will support you. For me, I’m very grateful, and I feel I’m very lucky. As a product manager I can lead this team that has created a product used by one billion users. It gives me a sense of accomplishment. But, I feel even more lucky that over this process, I’ve been able to imbue my perspective of the world into the product, making it a part of the product’s value. This is even more rare.